The beauty revealed that she had been undertaking exercise to relieve the stress of her new-found fame but soon started to feel a ‘bad headache and fatigue’, yet she forced herself to continue the gruelling workout. However, once she was in a plank position she felt as though “an elastic band was squeezing my brain” before running to the bathroom where she described she was “violently, voluminously ill”. The star admitted she was then sent to hospital following the incident. An aneurysm can develop in any blood vessel including the brain and if it ruptures can cause severe headaches, sickness and vomiting and extensive brain damage, according to the NHS. Emilia has since taken to her Instagram account today to upload a short clip where she revealed she has now launched a new charity in support of brain injury. She captioned the video: “THE MOST EXCITING NEWS EVER FOR THE FIRST DAY OF SPRING! The charity I have been working on for a fair few years goes live today!!! In the short video, the HBO star said: “Hi guys, so today I launched a charity. It’s been a number of years in the making and I really sincerely hope that you click on the link in my bio. “Have a look at the hashtags and all the good stuff underneath this video and let me know what you think. She added: “Click on the link in my bio and you’ll find out all about the charity I’ve started there. And I really sincerely would love to hear what you think. I would love to hear your stories. 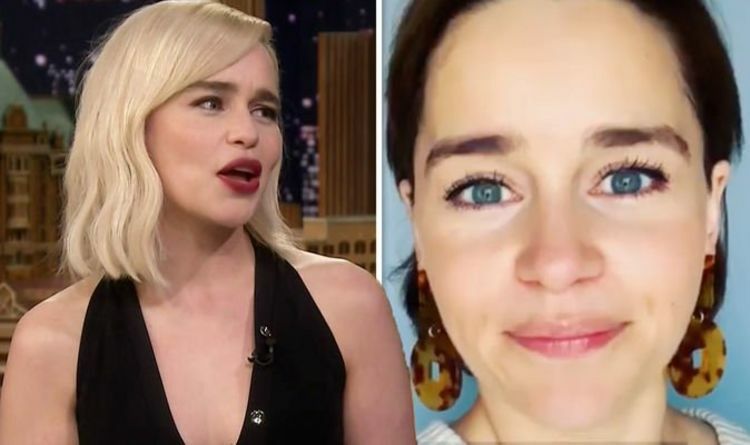 Meanwhile, Emilia completed filming on Game of Thrones season eight last year and has since spoken out about saying goodbye to the character of Daenerys after playing her for 10 years. “I felt completely lost,” she told the Daily Mail. “It’s like losing an actual limb.